Hi Howard ... I haven’t seen you for a while. Hi Joanne. Yeah, they’re keeping us really busy on the postgraduate programme. But how are you? You’ll be starting your dissertation soon, won’t you? Yeah ... tutorials start next week ... I’ve got Dr Peterson. You’ll remember it all from last year, of course! So what are you doing yours on? Glaciated landscapes ... although I haven’t decided exactly what aspect yet. I did mine on climate systems, so I can’t help you much I’m afraid. But you’ll be fine once you start your tutorials ... Dr Peterson’ll help you focus. I know, and he’ll set me deadlines for the different stages ... which is what I need. My concern is that I’ve got tons of material on the topic, and I won’t be able to stick to the word limit, you know. Hmm. I remember I had different concerns when I was doing my dissertation. Yeah ... before my first tutorial I did a lot of fairly general reading ‘cause I hadn’t fixed on my topic at that stage. I actually enjoyed that quite a lot and really improved my reading speed, you know, so I was getting through a lot of material. I was frightened I wouldn’t remember it all though so I got into the habit of making very detailed notes. So did you find your tutor helpful .in getting you started? Yeah we certainly had some interesting discussions but it’s funny ... I saw a brilliant programme about climate change and it was that that really fired me up. It was talking about some recent research which seemed to contradict some of the articles I’d been reading. Hmmm. So you say your tutorials start next week? Well, the first month’s crucial. You’ve got to meet your tutor and decide on your focus but don’t become too dependent on him...you know, don’t see him every week...only when you want to check something. Once you’ve got the focus you’ve got to get reading - it’s helpful to look through the bibliographies for all the course modules relating to your topic. And get hold of any books you think you’ll need. I mean get the books from the library, far better. And I suppose I should prepare a detailed outline of the chapters? Yeah absolutely . but don’t feel you have to follow it slavishly . it’s meant to be flexible. Now, I’m someone who likes to get writing quickly ... I can’t just sit and read for a month. Now Joanne, about the library ... it’s worthwhile getting on good terms with the staff ... they aren’t always helpful with undergraduates . I suppose they focus on post-grads more. Maybe . but show them you’re serious about wanting to do good work. And what if I can’t find what I need? Borrowing books from other libraries ... but I’ve heard it isn’t all that reliable. You’re right.. .but you probably won’t need it anyway ... be positive, the library is likely to have most things you need ... and during the dissertation writing period, you can take out fifteen instead of the usual ten books. Should I look at previous years’ dissertations? But I won’t know which are the good ones. The library only keeps the best and the staff can advise you. Are they willing to do that? And I’m worried about getting journal articles ... from the electronic library. Well, have you tried to find any yet? Well you should . it’s really straightforward. That’s obviously something I’ll have to look into. Yeah, I know I can go to him if I have any worries. Except he will be away in the second month - it’s the holidays. You should ask him what to do while he’s away. Gosh, yeah ... but I suppose I can get a lot of support from coursemates ... I know a couple of people who are thinking of doing the same topic as me. Take care, collaboration can become dependency. I think you’d better see how that works out what the people are like. You’re probably right ... About other reading, I suppose Dr Peterson’ll recommend plenty of good articles to get me started. One thing I’d find out is what his attitude is to internet sources. Surely not in this day and age? I’d better get that sorted out right at the beginning. And I’ve also got some questions about the research sections - how much time I should spend explaining the process. Well, I think that’s up to you ... you can see how it develops as you’re writing. It’s the same with things like time management . that’s something a tutor can’t really help you with . So is there anything else you need me to go over . You will hear two Geography students talking. An older student, called Howard, is giving advice to a younger student, called Joanne, on writing her dissertation. Choose the correct letter, A, B or C.
1 What does Howard say about the experience of writing his dissertation? A It was difficult in unexpected ways. B It was more enjoyable than he’d anticipated. C It helped him understand previous course work. 2 What is Joanne most worried about? 3 What does Howard say was his main worry a year previously? A Forgetting what he’d read about. B Not understanding what he’d read. C Taking such a long time to read each book. 4 What motivated Howard to start writing his dissertation? A Talking to his tutor about his problems. B Seeing an inspirational TV show. C Reading a controversial journal article. What TWO things does Howard advise Joanne to do in the first month of tutorials? A See her tutor every week. B Review all the module booklists. C Buy all the key books. D Write full references for everything she reads. E Write a draft of the first chapter. What TWO things does Howard say about library provision? A Staff are particularly helpful to undergraduates. B Inter-library loans are very reliable. 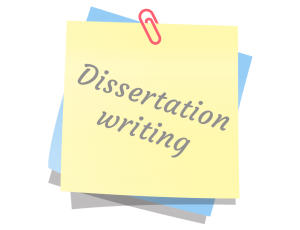 C Students can borrow extra books when writing a dissertation. D Staff recommend relevant old dissertations. E It’s difficult to access electronic resources. What TWO things does Joanne agree to discuss with her tutor? A The best ways to collaborate with other students. B Who to get help from during college vacations. C The best way to present the research. D Whether she can use web sources. E How to manage her study time.